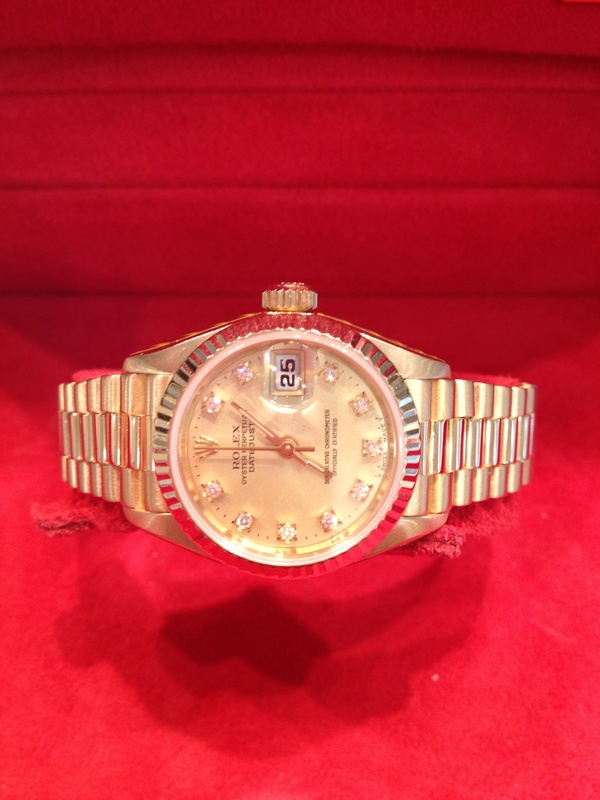 Ladies 18ct yellow gold Rolex Oyster Perpetual Datejust 69178. Automatic movement. Champagne dial set with diamonds. Fluted 18ct bezel on an 18ct yellow gold president bracelet with concealed folding clasp. Box and papers dated 1996 with Rolex services in 2003, 2009 and Aug 2015. Complete set with original hang tags and Rolex Red handkerchief .